Looking for kids birthday gift ideas? 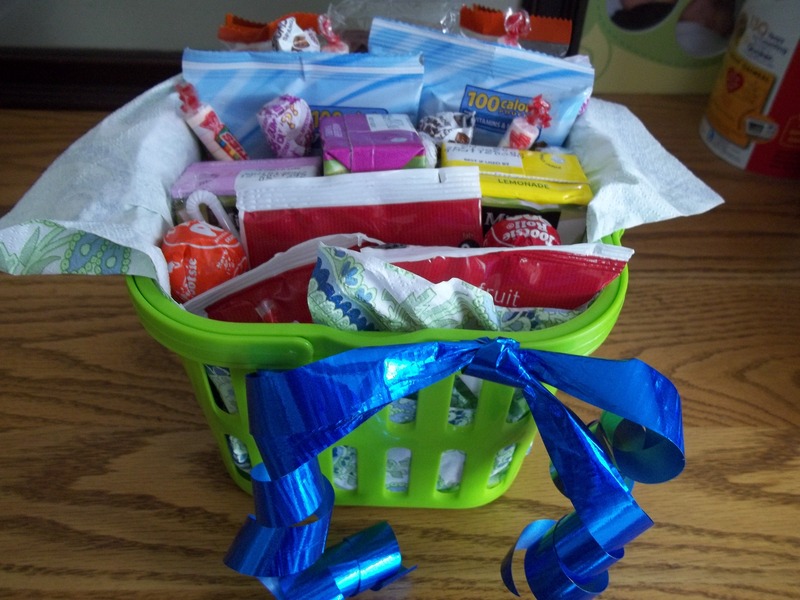 Here’s a quick and easy idea that will work for either a boy or a girl, and can be adapted to any age. We have had loads of birthdays lately, including two kid parties to attend last weekend. This has been my go-to gift for almost any kid. 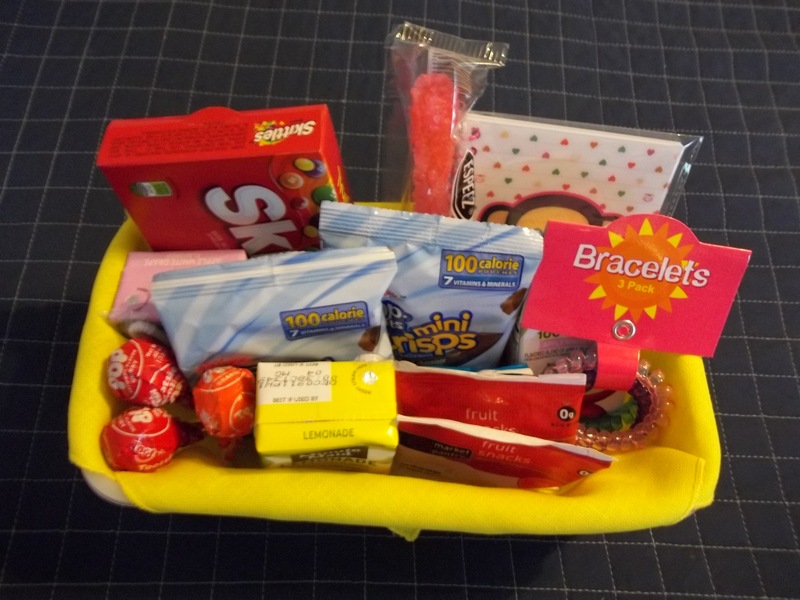 I have been known to give some version of this “snack basket” for the last few years. Let’s face it–most kids we know don’t need a single new toy and usually have plenty of clothing as well. Most parents I know really aren’t crazy about receiving more toys or other such things to clutter up their homes. The green and blue one was given to a boy and the yellow and red was given to a girl. Basically I pick out a container of some sort that can be reused. 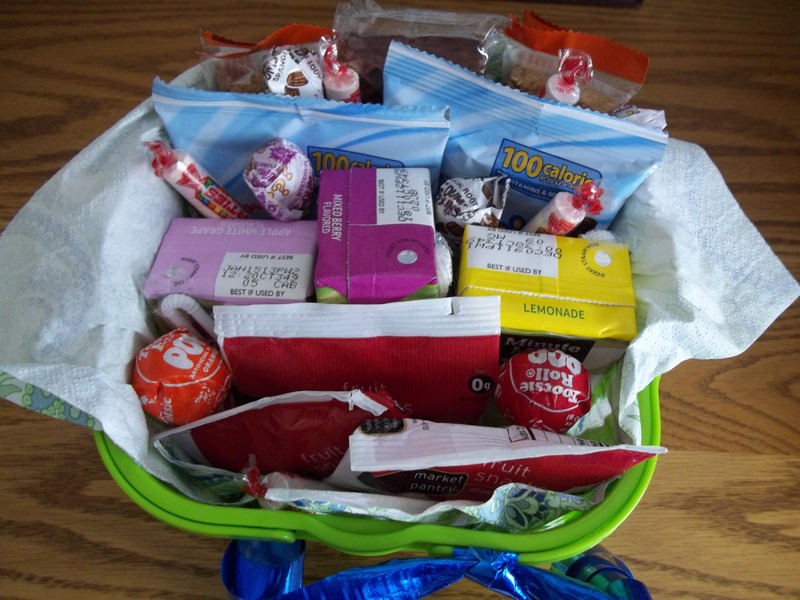 Then I fill it with snack packs, juice boxes, and little treats. I also sometimes throw in a couple of $1 items from the dollar section of Target, Michael’s, etc. 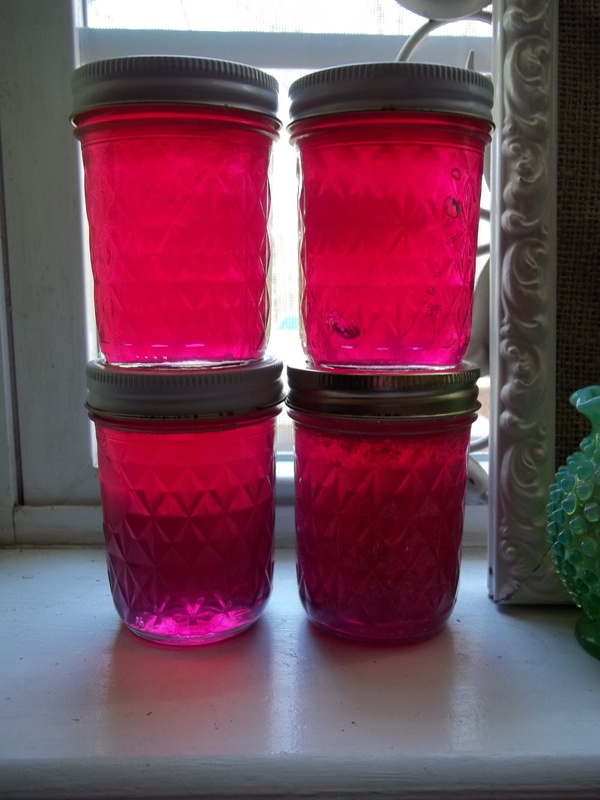 Usually I have a stash of these in our gift supply box. Easy to put together (even at the last minute!) and easy on the wallet as well. 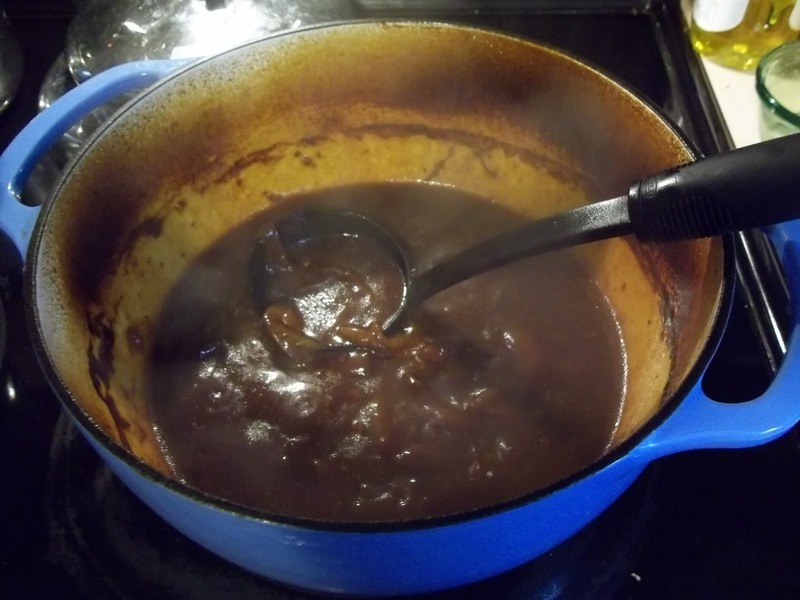 Start out with any stock, broth, or sauce that needs thickening up and put it in a heavy pan. 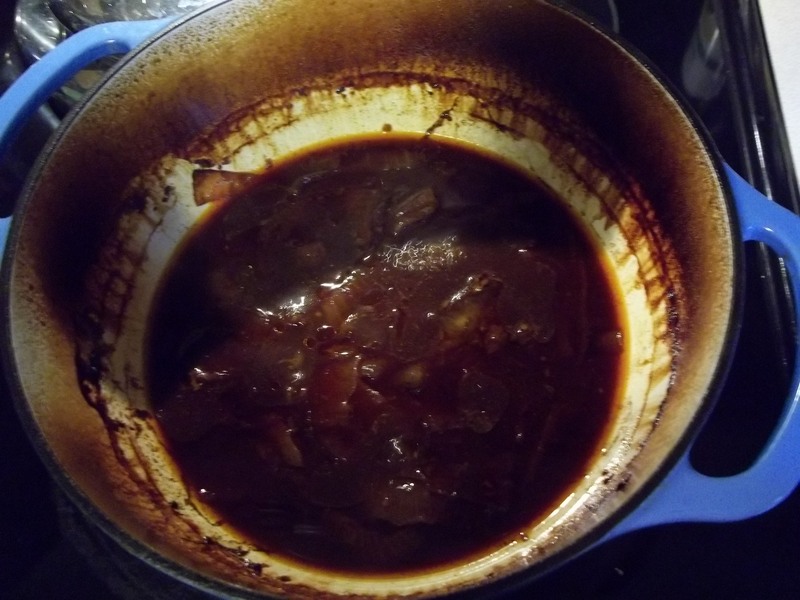 For an example, I had some nice dark stock from a beef brisket that we were having for Sunday lunch. 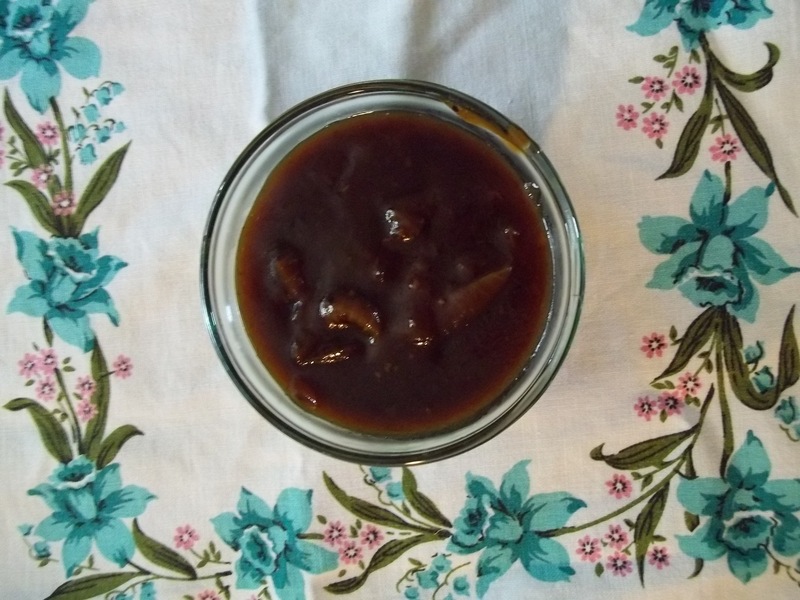 This is one that was baked with some BBQ sauce, so that’s why it has such a rich color. You can also see some pieces of onion floating around that were baked with the beef. Turn your stove up to a fairly high heat. The goal is to get this liquid bubbling. 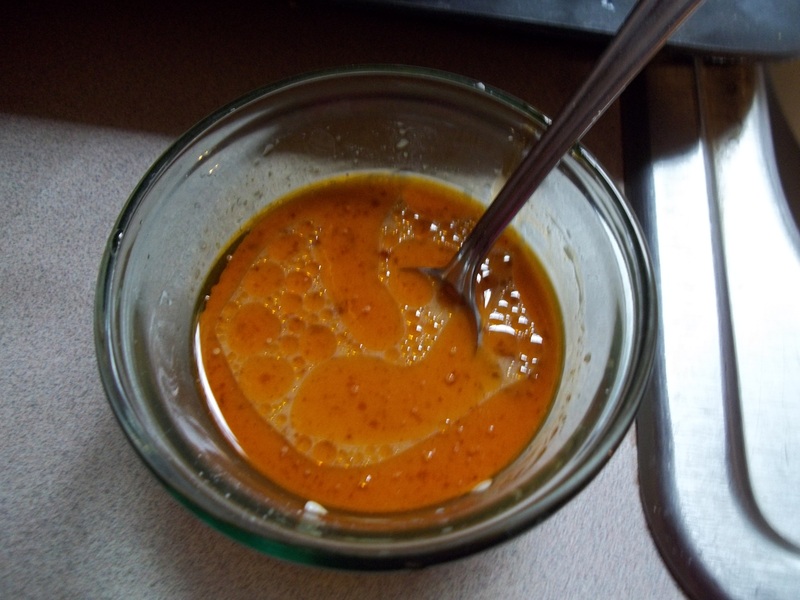 While that stock/broth/sauce is heating up to a boil, spoon some cornstarch into a small bowl. How much you use depends on what amount of liquid you are planning to thicken up. Generally I use about 2 Tablespoons. 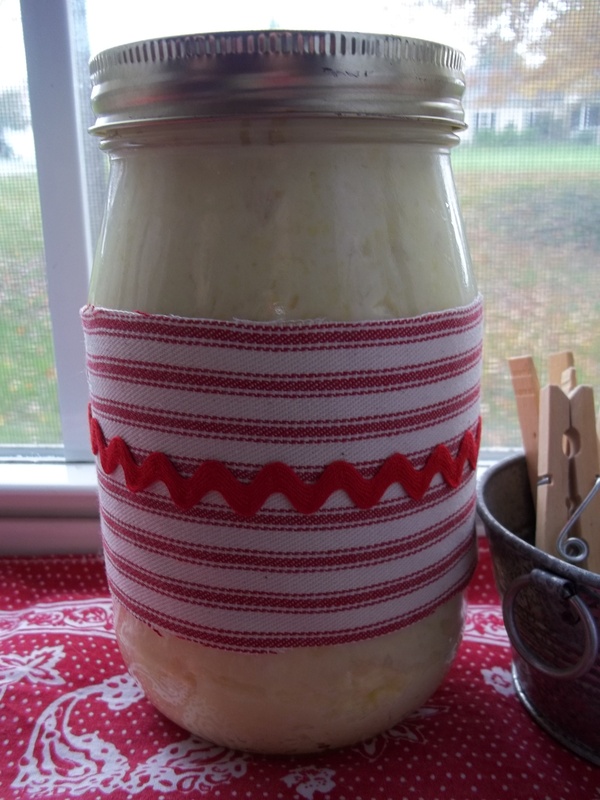 Add some cold water to your corn starch and mix well until nice and smooth. I’m not sure if this is necessary or not, but I always dip out a small amount of the stock and add it in to the cornstarch/water mixture. Once your pot of liquid had come to a low rolling boil, pour in your cornstarch mixture, stirring as you add. Keep stirring for several minutes, lowering the heat once it starts to thicken. You should now have gravy or sauce. That was easy, wasn’t it? I hope so. I poured mine over pot pie noodles and enjoyed it with my beef and sweet corn. Yummy! As a parent of 4 boys whom I am aspiring to raise to be godly young men, I really love James Dobson’s book Bringing Up Boys. It is a great read and chock full of wisdom, especially for this Mama who is learning how boys are wired in order to understand them better. Out of the entire book, my favorite chapter (which is applicable to raising boys AND girls) is called “Chasing the Caterpillar.” Strange title, I know. It really doesn’t have anything to do with little boys chasing caterpillars. Dr. Dobson tells the story of a naturalist who did a study on processionary caterpillars, which march in unison. 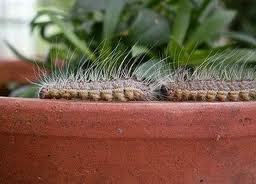 Basically, he lined them up on the inner edge of a flowerpot and watched them march for several days. On the third day, he put their favorite food, pine needles, in the middle of the pot. Did they break off and pursue this food, providing their bodies with nourishment and keeping themselves from starving to death? Nope. For four more days they marched in an endless circle, eventually dying of starvation, mere inches away from their ideal food source. Sort of a depressing story, isn’t it? Why did Dr. Dobson put this not-so-delightful tale in a chapter about parenting? Because, my dear friends, do any parents nowadays remind you at all of these caterpillars? Even more convicting, does it remind you of yourself at all? Even a teeny bit? I know for myself, especially as my kids get older and are more involved in outside stuff, I can relate to those caterpillars. Too many parents these days are literally racing around from one thing to another, day after day after day. Volunteering at school, running errands, sporting events, plays, scouts, church, band, dance, playdates, birthday parties….the list could go on and on (and on!). I’m not saying any of these things are bad. In fact, many things we or our children are involved in are quite good. I know exactly how it feels to say yes to too many of these good things, only to find myself stressed out and snappy. Just as an example, last spring we had this whole caterpillar scenario going on in our household. We had kids in a couple of different sports, scouts, Bible club at school, PLUS all of the things either me or my husband helped out with. I won’t even list those–they make me tired just reading all of them!! We had many weeks where our whole family didn’t even have a single night at home together. Sure, we may have grabbed a quick meal at home, only to “divide and conquer,” him running a kid here and me running others somewhere else. It was ridiculous. When a lot of these things ended for the summer, we all took a giant collective sigh of relief. Thankfully this past fall wasn’t nearly that busy. It was wonderful. 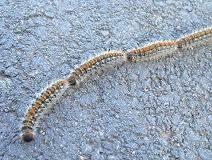 This spring I’m feeling a little like those caterpillars once again. Granted, I do like to get my share of running around and I do enjoy socializing, but I love nothing more most evenings than staying home and getting down time with my “people,” a.k.a. my husband and children. I can’t imagine that kind of crazy running around most of the year or having many kids in multiple sports, etc. every season. Not only are the children worn out, but it can’t be all that great for most marriages either. Now, where do we draw the line? Like I mentioned earlier, a lot of these activities are good things that are meant to build us or our kids up in some way. It’s a fine line to walk. Do we say no to the things that really matter to us or our children? Do we put a number on the amount of activities, etc. that our family is involved in? 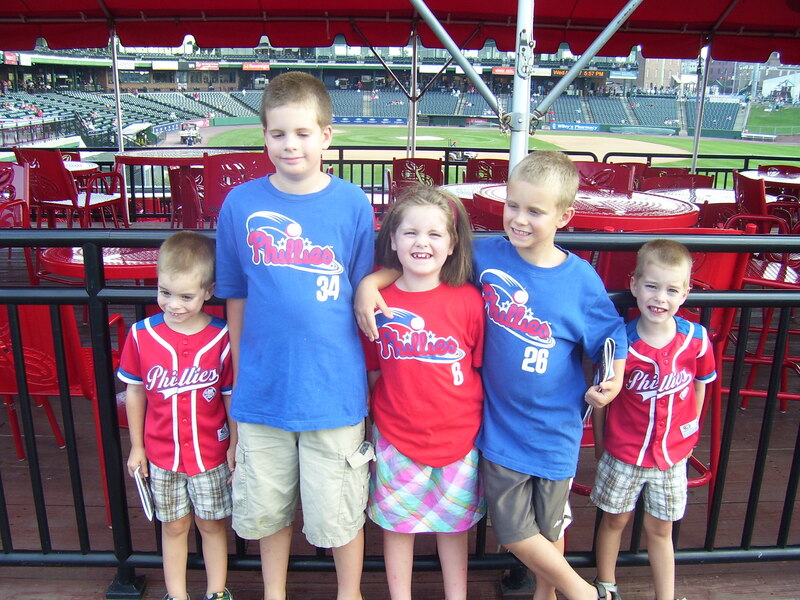 How does a family limit their activities to a managable level without feeling like they are depriving anyone? I wish I knew the answer to that–this is a personal thing I believe each family must decide for themselves. In January, my oldest 3 all wanted to play soccer. However, looking at the practice days and times for each age group, we discovered that the boys’ age levels would have had to practice on Scout nights. Now, my boys love Cub Scouts, plus I am a leader for the one den as well. My husband and I sat them down and had them choose if they wanted to do soccer or scouts, then gave them a day to think about it. Well, after weighing the options, they both chose to stick with Scouts. Their sister, however, is trying soccer as her practices are on a non-conflicting night. Besides preschool, my little boys aren’t in any activities yet, so I know these dilemmas are just going to get harder! Honestly, my gang is happiest when they get home from school and don’t have to rush around to get their homework done. They love to just come home and play, sit down to supper with Mom and Dad, and have time to just be kids. This Mom and Dad love it when we can just enjoy quality time with the children and spouse God has blessed us with. Isn’t that worth saying no to other things that steal time and energy away from what matters most to us? I don’t know about you, but I do not want to be one of those caterpillars. Ever broiled a cake before? Me neither–that is, until yesterday when I made this piece of deliciousness for my man. 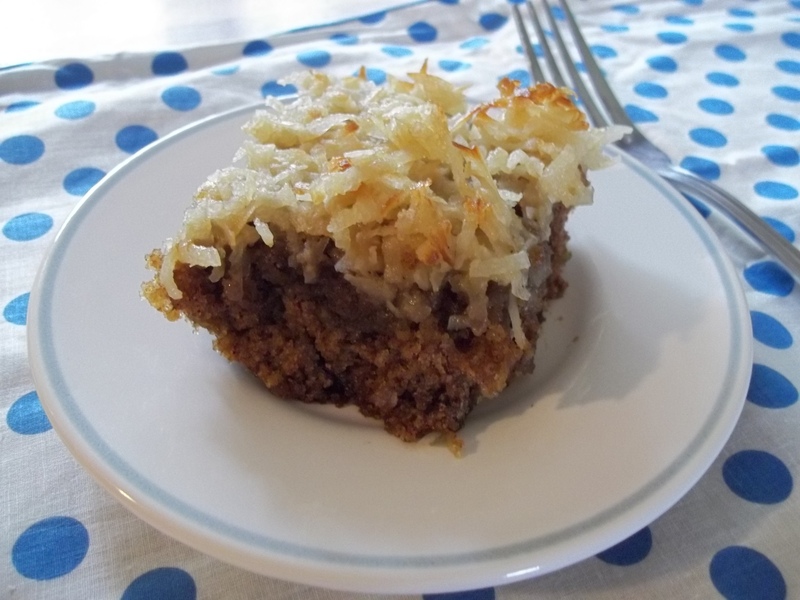 A moist and scrumptious oatmeal cake with coconut on top. And I should have been a little more specific–you actually bake the cake and then broil the topping. We found the recipe for this in a Penzey’s Spice catalog. Other than selling amazing spices, their catalogs also boast great recipes. 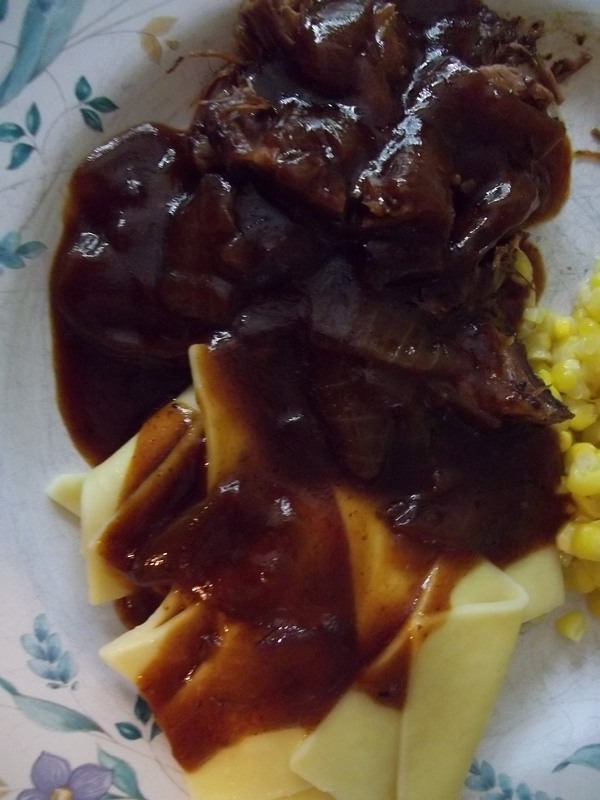 (Penzeys.com) Our most recent one had this recipe in it, and I discovered that my husband had earmarked the page. I figured he was going to try making it soon, but surprised him by making it yesterday as a token of my appreciation for all he does (which is a lot). It was a big hit, especially with my older boys. In fact, I took the pictures of this piece today while there was still some around! Preheat oven to 350. Grease a 9×13 pan that will hold up well during the broiling. Combine the oats with boiling water and let sit for @10 minutes. 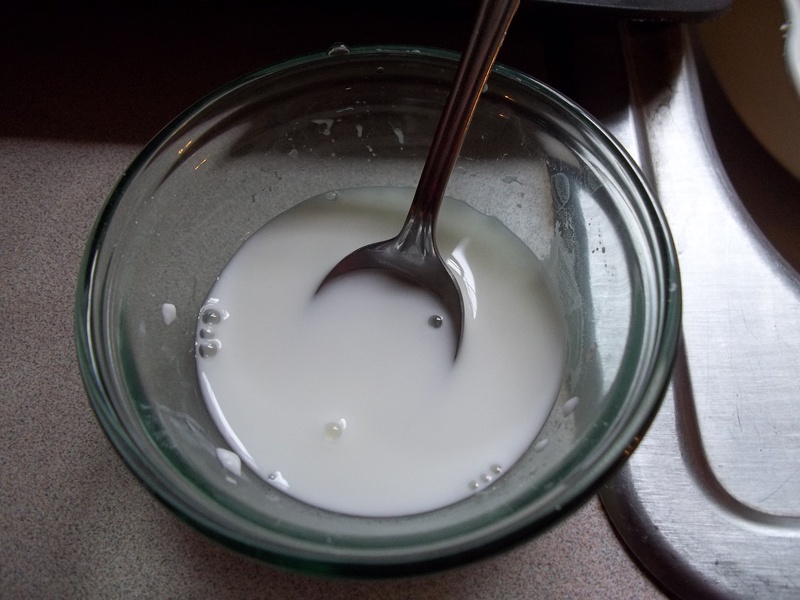 In a separate bowl, cream the butter and sugars together, and then add to the oat mixture. Add in the eggs and vanilla. 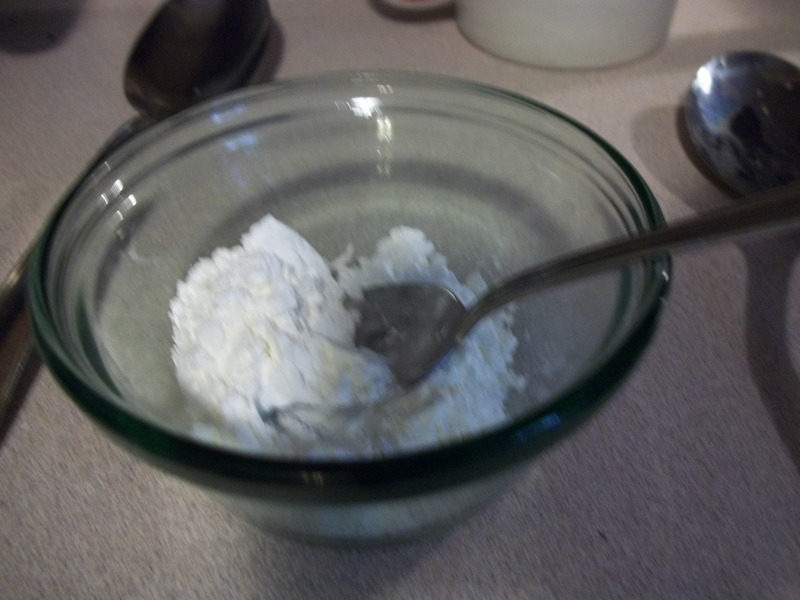 In another bowl, combine the flour, baking soda, salt , and cinnamon. Gradually add to the oat mixture and mix well. Pour into pan and bake for 30-35 minutes. Take out and then preheat the broiler. 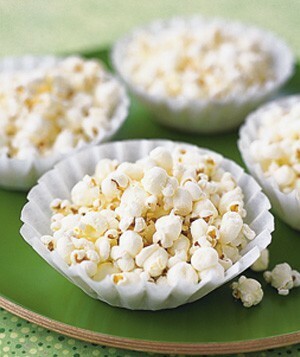 In a bowl, combine all of the topping ingredients and mix well. Pour and spread over the top of the warm cake. Place in oven directly under broiler. 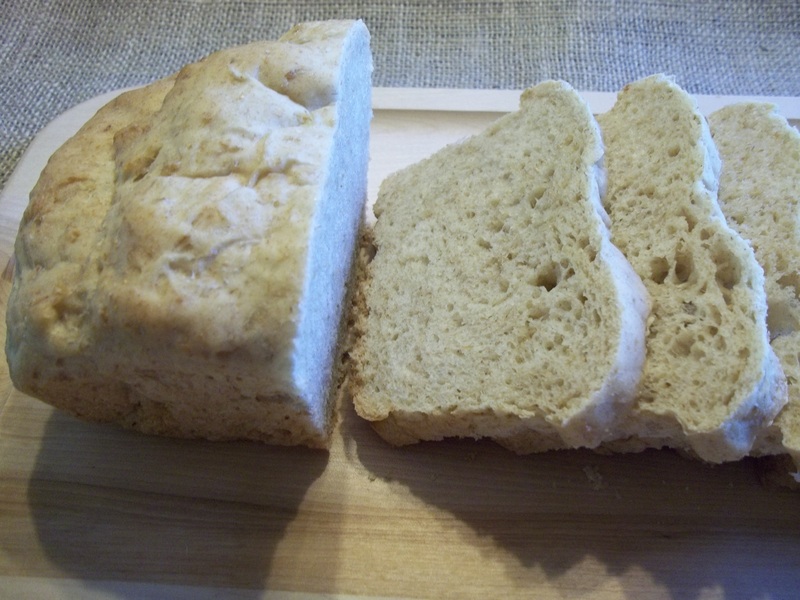 Broil for 2-4 minutes, or until cake top is lightly browned. 1. Instead of using paper towels, use coffee filters to help wash windows, mirrors, or screens. They are lint-free! 2. When putting away your Christmas ornaments, wrap each one in a filter to protect them from breakage. 3. 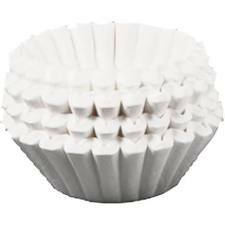 Line the bottom of your flowerpots with a coffee filter so that when you water the plant, soil doesn’t fall through the drainage hole. 4. 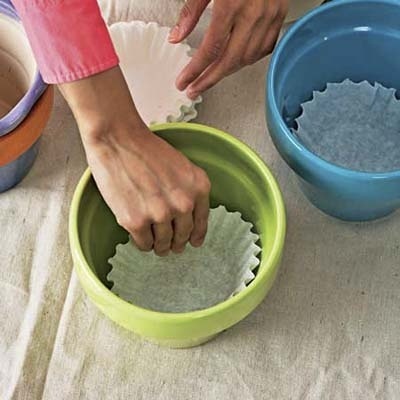 Make an easy-breezy air freshener by placing some baking soda in a coffee filter and tying it up. 6. 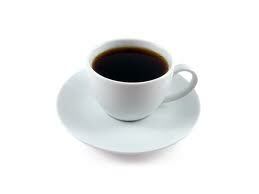 Absorb grease from fried foods by blotting them or lining a pan or plate with a coffee filter. 7. 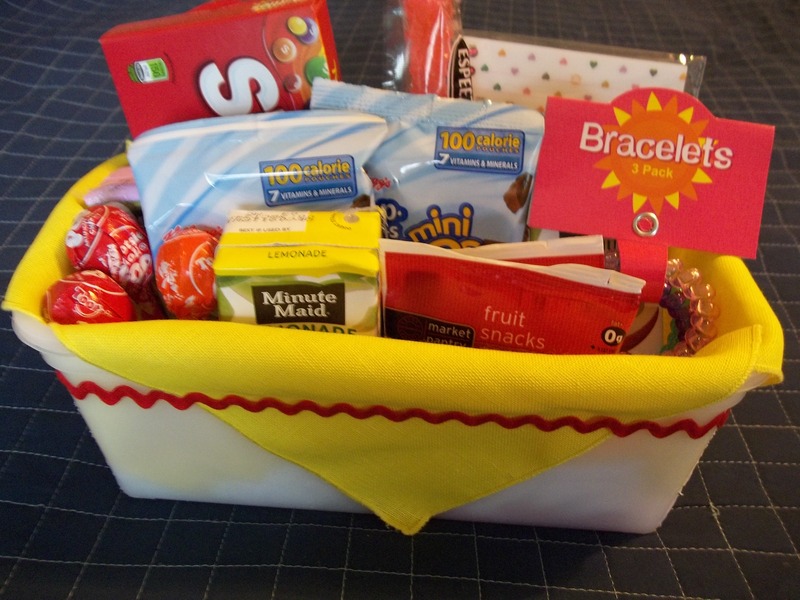 Wrap messy foods like tacos and hot dogs with a coffee filter to keep your fingers clean and the mess contained. 8. Place filters in between cast iron skillets to prevent rust. 9. On the same note, place coffee filters in between stacked pans. Or, better yet, in between dishes to prevent pieces from banging together and breaking. 10. To prevent messy splatter when reheating something in the microwave, place a filter over top of the plate or bowl you are using.